Starting out as a popular pizzeria for tourists and locals, Mystic Pizza, has been serving up delicious slices since 1973. In fact, so popular that many customers were looking for a way to bring Mystic Pizza home with them. The demand became so great, that Mystic Pizza Food Co. was established. Mystic Pizza Food Co., uses the same famous recipe as the restaurant to produce the best frozen pizza around. Now that our pizza is located in thousands of stores in the New England and the Midwest area, our customers may enjoy Mystic Pizza from the comfort of their own homes. Mystic Pizza® (the restaurant) caught the eye of Los Angeles based screenwriter Amy Jones, who was summering in the area. 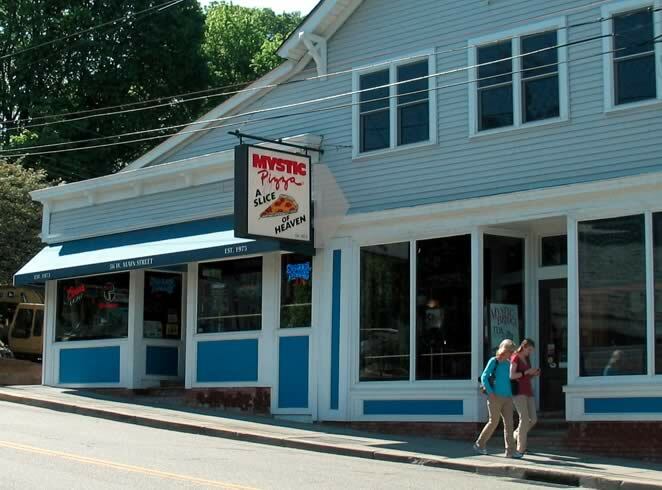 Ms. Jones chose Mystic Pizza® as the focus and setting for her story of the lives and loves of three young waitresses. 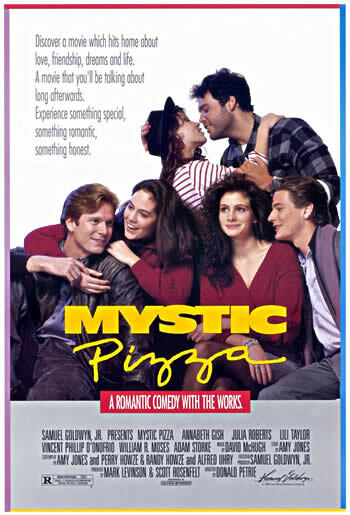 "Mystic Pizza" was filmed on location in Mystic and neighboring towns. A set was built for the indoor scenes, as the actual Mystic Pizza® restaurant was too small and could not close for months of filming. The movie was released in 1988. © 2013 Mystic Pizza Food Company.